There are indications that the church existed in the fourteenth and fifteenth centuries. The church has existed in the same location since medieval times although the present building was constructed in the 17th century. The two bell towers were essential to the locals especially when it came to telling the time of day. The church retains two gothic tombs from its previous incarnation and also boasts an impressive organ and renaissance-era altarpiece. The beautiful baroques alter pieces of S.XVII and the parish organ which has great richness. The outside walls are lined with reliefs and majestic gargoyles that make most kids (and adults) daze in amazement. 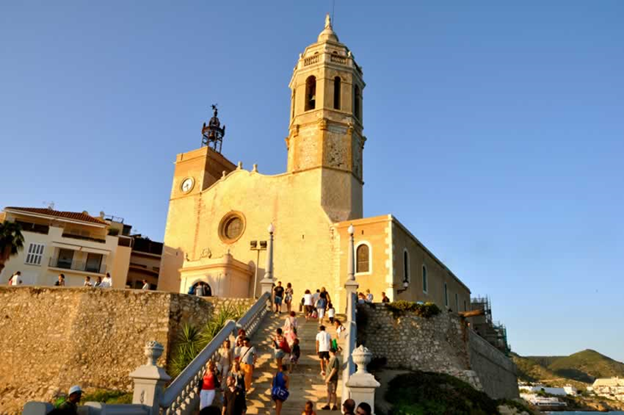 The church is considered as one of the iconic buildings in Sitges that characterizes culture and history for the locals. It is a centre of many festivals and fireworks throughout the year. 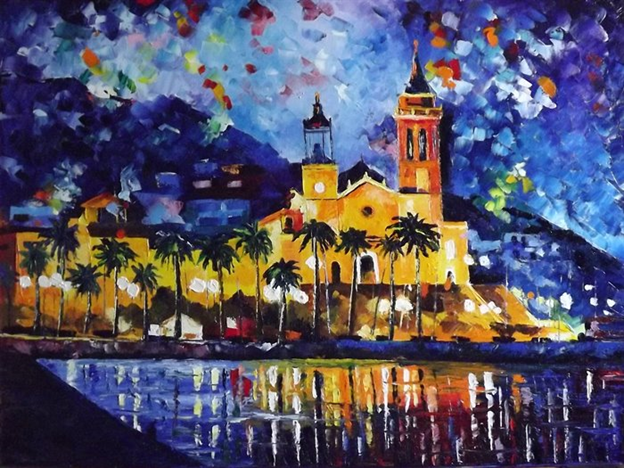 Sitges is a quintessentially charming town: beautiful beaches, pristine coastline and lots of sunshine throughout the year. It is therefore no surprise that couples from all over the globe for weddings in the church. The church has certainly a classical romantic setting for couples who want to take marriage vows and commit their love for each other. The ambience of the church is cool and inviting. Inside, the church is small and warm with dimly lit lights. The walls are plastered with images of patronage saints. Beneath the church, there is a beautiful view of the coast that is ideal for photos. Bookings can be made online at the town hall, tourist office or grab yourself a wedding planner from Barcelona. Ceremonies are held from Monday to Friday at 19.30. On Saturdays and evenings at 20.00. Sundays at 9.00, 11.00 in Castilian, at 12.00 and 19.30. In July and in August, the schedule is retained apart from Sundays at 9.00, 11.30, 19.00 and 20 Castilian. The parish office is on Tuesdays and Saturdays from 11.00 to 13.00 pm and on Thursday from 17.30 to 18.30 (one day a week depending on the course).